Six unique shapes to choose from – all with full color epoxy dome imprint and attached key ring. #BOL115 – Economy opener with full color epoxy dome imprint. Bright nickel finish with internal bottle opener. 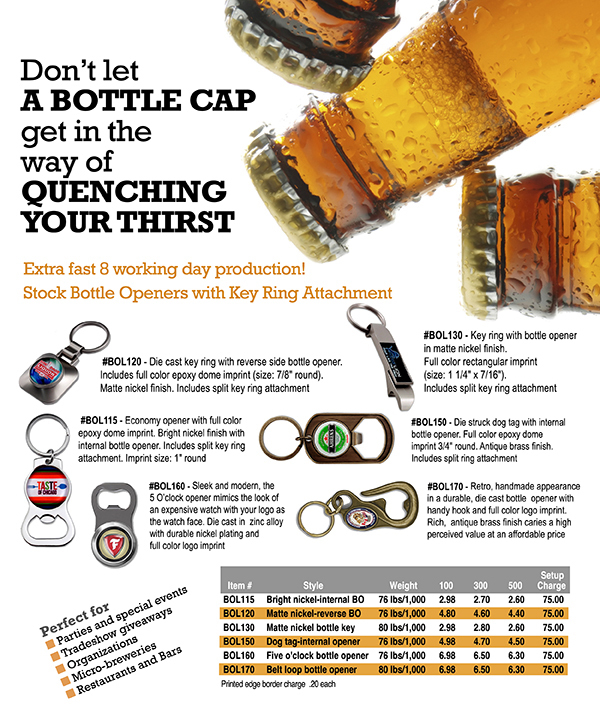 #BOL120 – Die cast key ring with reverse side bottle opener. Includes full color epoxy dome imprint (size: 7/8″ round). #BOL150 – Die struck dog tag with internal bottle opener. Full color epoxy dome imprint 3/4″ round. 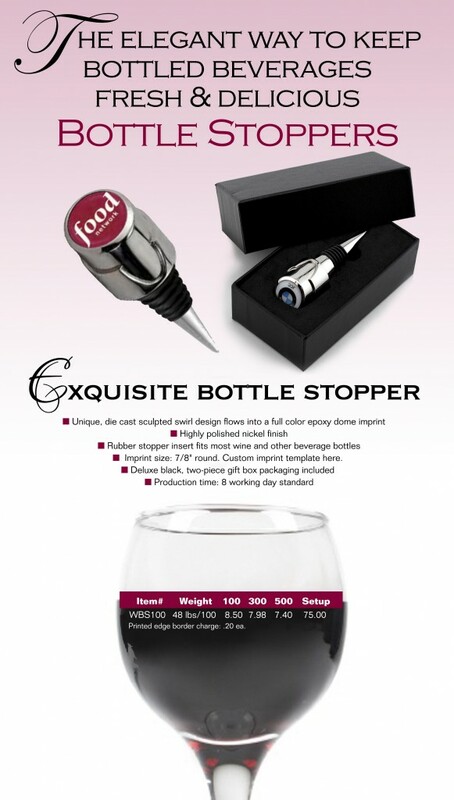 Exquisite bottle stopper – only at EMT! Imprint size: 7/8″ round. Custom imprint template here. Indianapolis, IN- EMT, the 2014 Distributor’s Choice for Jewelry, Emblems & Patches announced today a new addition to their hospitality line: Spectraflex® Top-Off Bottle Caps, made from soft and flexible silicone. The Brightly-colored SpectraFlex® bottle caps are flexible, durable and waterproof and designed to help keep beverages fresh. They are safe to be washed in a dishwasher and the price will include a silk screened one color imprint with a no charge PMS color match. 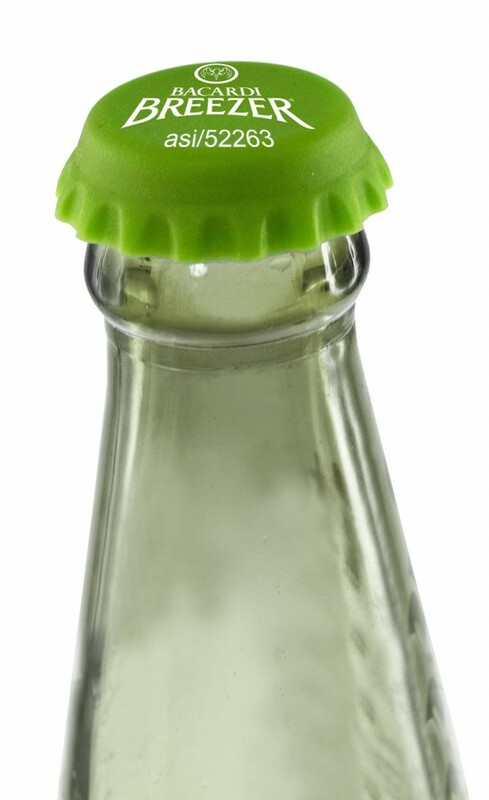 Top-Off™ bottle caps come in standard product colors: PMS 361 Green, PMS 199 Red, PMS 287 Blue and PMS 1505 Orange, but custom product colors are available. Delivery: Pre-production sample 2-3 weeks and full production is three weeks after sample approval. EMT is a supplier of emblematic and other promotional products. For more information, visit www.emteasy.com or contact Kristy Tantillo at (317) 803-2400. A copy of EMT’s catalog can be downloaded from the same website, or contact EMT by email or phone for a hard copy. durable and flexible bottle caps! 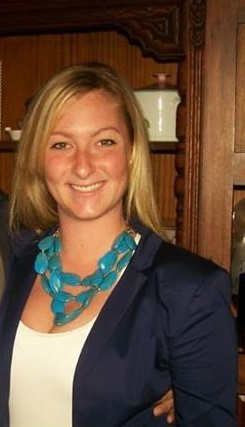 Finishing up my last year as a full-time student at IUPUI, I am new to the promotional products industry. Working as the Customer Care Coordinator for EMT, I primarily work with Sample Requests and Follow-Ups, which involves interacting with customers primarily via Email or over the phone. I love interacting with customers from all around the United States, and occasionally around the world. Not only are our products used all over the place, they are also used for a myriad of reasons – from massive, corporate functions to small, education-related events. Lately, the Hospitality Line of products from EMT, including items such as the Full Color Imprint Bottle Stoppers, Custom Bottle Openers, etc., have been wildly popular – and I have to admit; the buzz from customers about these products has been contagious. The full-color imprint on top of the Bottle Stopper was personalized with the initial of my future last name and the date of the wedding. The scroll of the initial turned out elegant and beautiful. The bottle stoppers come in deluxe packaging, so they are ready to go. All that will have to be done to them is setting them out on a table to be presented to our guests. In terms of cost-effectiveness bottle stoppers are budget-friendly, which, as college students, is of course a top priority. Last but not least, I really cannot stress the quality of the bottle stoppers enough! They are made of a heavy metal, so not only do they look nice, they FEEL like a high-quality item. EMT Liquor Pourers: Don’t waste liquor, think quicker. Stylish Liquor Pourers – Now available at EMT! Pourers prevent spills and over-pouring with their streamlined tapered chrome spout. Large imprint area in both the oval and circle designs provide excellent branding visibility. Open a nice cold one up with EMT! xtra fast 8 working day production! Purposes: Parties and special events, Trade Show giveaways, Organizations, Restaurants and bar openings & Micro-breweries. Strategy: A very large food festival for a city decided at the last moment to provide a promotional item for attendees who were willing to pay the extra money to go to the beer tasting tent. Unfortunately because of timing and budget restraint, they needed an affordable product that would serve practical purposes—like opening the beer bottles. Ideally, the bottle opener could be something that participants could use multiple times. The bottle opener with attachable key rings were a huge success. Attendees were able to put these bottle openers on their key rings or key chains for easy storage. Don’t Let a Bottle Cap Get in the Way of Quenching your Thirst! Stock Bottle Openers. Only 8 Days Production Time. Extra fast 8 working day production! #BOL130 – Key ring with bottle opener in matte nickel finish. Full color rectangular imprint (size: 1 1/4″ x 7/16″). 5 working day rush service available.